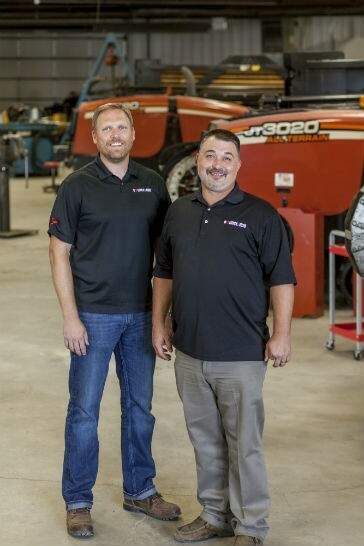 Together, Source: HDD, Inc. Vice President of Sales, Jay Cary (left) and President Joe Phillips (right) have over three decades of technical knowledge and HDD field experience. Source: HDD Inc. and StraightLine HDD has announced a merger agreement to create a leader in HDD equipment and down-hole tooling. The new Source: HDD will offer customers the ability to purchase used rigs, new down-hole tooling, and a variety of additional value-added HDD services, including equipment brokering. The new business alliance will continue to operate from two buildings, both located in the Yoder Industrial Park with an expansive 120,000 square feet. The merged company plans to maintain its current skilled staff of seventy-five. Joe Phillips, President of StraightLine HDD, will also serve as President of the new Source: HDD Inc. Current Source: HDD Inc., Managing Director, Jay Cary, will exchange his title for Vice President of Sales, lending his expertise to both divisions. “This move comes at a time when the marketplace is demanding greater value from suppliers. Joining our companies offers the most benefit to our customers by creating a central point of focus on their success. Through the last three decades we have worked with contractors to procure equipment or manufacture goods needed to run successful HDD operations. Taking a ready-to-work approach will provide a better way of doing business for our customers. We look forward to applying our three decades of knowledge into a world class experience for our customers,” said Phillips. “In addition to the clear strategic benefits of combining two highly complementary organizations and product offerings, we can create substantial value through cost structure improvements and access new growth opportunities,” said Jay Cary, “This move will allow us to have a more diverse offering. Under the terms of the agreement, the merged company will begin to transition operations immediately. A team of designers and fabricators collaborate to build HDD tooling tailored to rig and condition. Here, a massive Cyclone reamer under construction. Source: HDD’s 43,000 square foot facility located in Hutchinson, Kansas.